192 Amazing Inlays! The M89A has raised the bar even further. Made from the rarest, very hard to find, highly figured Birdseye maple and Green Burl wood that has been in our Private Reserve wood collection for over 20 years, the M89A is hand adorned with the finest brass, recon ebony and ivory inlays and painstakingly crafted by skilled artisans. 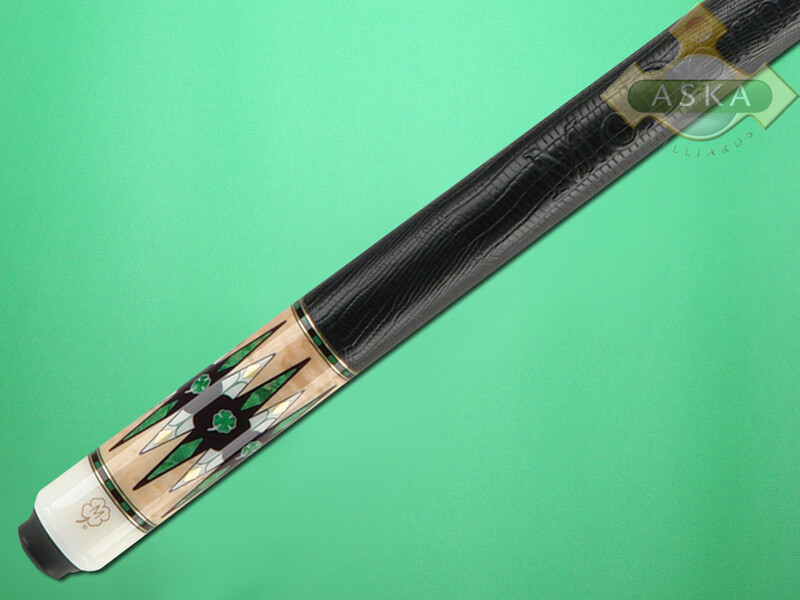 The cue features: Certificate Signed by Jim McDermott Jim McDermott Signature on the Forearm Hand Numbered with Cue Edition # 192 Inlays. 24 German Brass Inlays 12 German Brass Rings 12 McDermott “Clover” Inlays 6 Points Embossed Italian Leather Wrap 18 Green Burl Inlays Stainless Joint The M89A is being issued in a worldwide edition limited to 250 pieces. 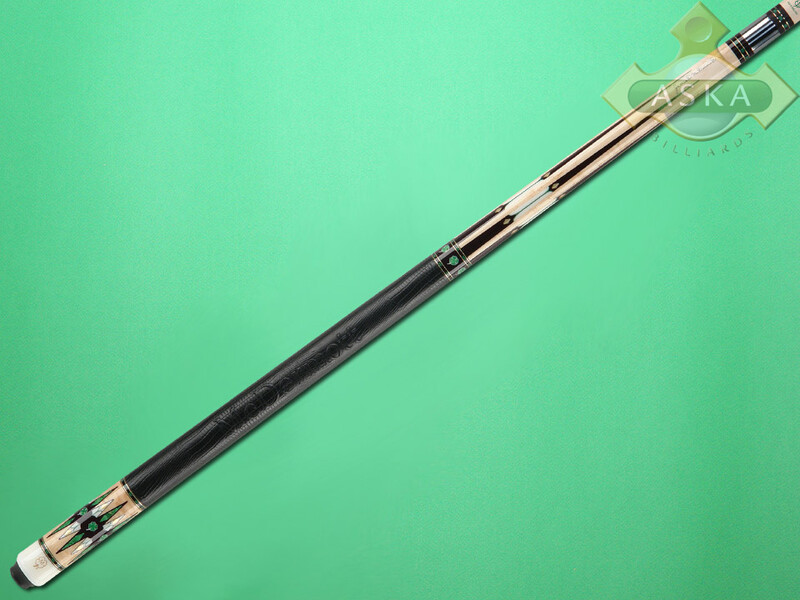 Intended for cue aficionados and distinguished collectors, the M89A is truly an exclusive piece of art. 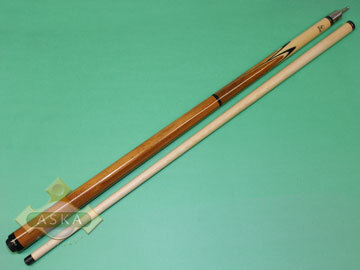 This is the 2nd of an exclusive series of cues from Jim McDermott. When it comes to a quality product and superior customer service, McDermott sets the standard with the McDermott New Cue Lifetime Warranty, the premier warranty in the industry. The McDermott Lifetime Warranty provides unparalleled coverage, and demonstrates confidence and ongoing commitment to every McDermott customer. You can be certain, that you will enjoy owning a McDermott as much as McDermott enjoy hand crafting them. 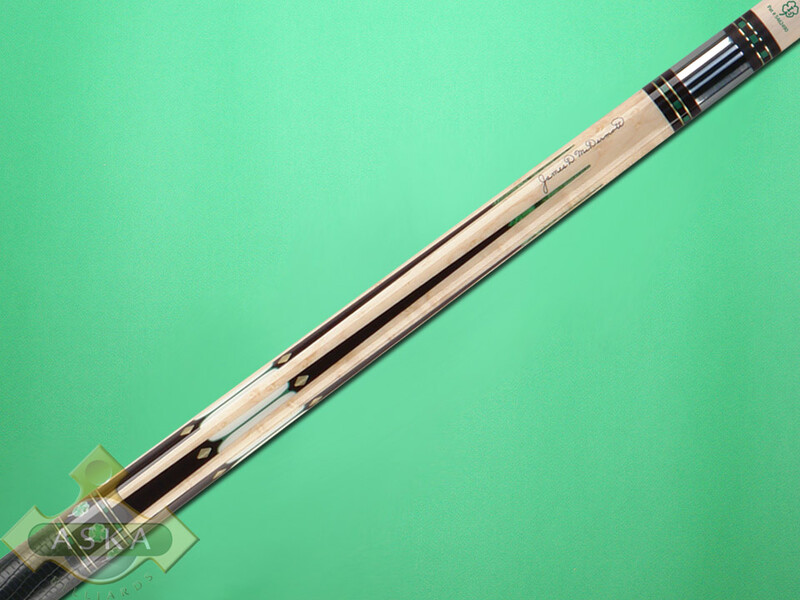 McDermott Handcrafted Cues warrants its pool cues purchased from an authorized McDermott Cue retailer to be free of defects in material and workmanship, including warpage, for the lifetime of the product. McDermott will, without charge to the consumer, repair or replace your cue, provided that the claim is accompanied by a copy of the original sales receipt from an authorized McDermott dealer. 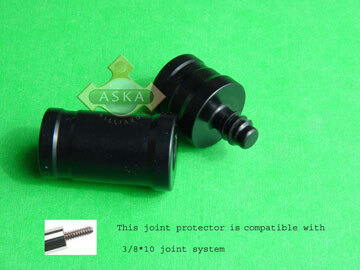 McDermott does not warrant its product against damage caused by third parties. This warranty does not cover replaceable items such as tip, finish, and wrap. McDermott will fix such items, however, for a fee. In addition, McDermott, at its sole discretion, may void this warranty if there is evidence of abuse or mishandling. To obtain warranty service on a McDermott product, return the product to an authorized McDermott dealer or directly to McDermott. DISCLAIMER: This warranty is in lieu of all other express warranties. McDermott disclaims all warranties for products that are purchased from sellers other than authorized retailers or distributors. Twice a year. Every year, for life. Really. 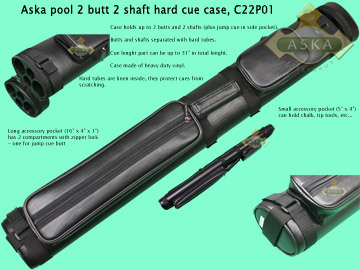 Maintenance is one of many hidden costs to consider when you’re looking at a cue’s price. For most cues, that is. Fortunately, McDermott offers the MOST comprehensive maintenance program ever. Not that our cues require maintenance often. Just about anything your McDermott cue might need replaced, checked or cleaned- tips, shafts, wraps, bumpers, ferrules- is fully covered under our exclusive Lifetime Maintenance program… for life. This will save you money. McDermott’s total commitment to your satisfaction doesn’t end when you take your new McDermott home. It only begins there. McDermott craftsmen check for details even the most careful player may not notice. Joints are checked, cosmetics evaluated, weights adjusted, and every minor detail inspected.